Stanley Kubrick’s 2001: A Space Odyssey is widely regarded as a classic, but, like many of the director’s works, left some people feeling cold. One of those people was Andrei Tarkovsky, an influential Russian filmmaker known for his metaphysical meditations on human experiences. 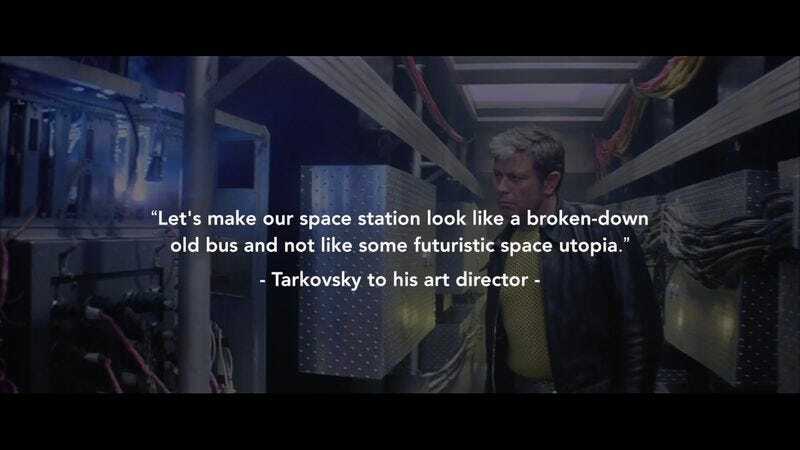 Tarkovsky set out to make a rebuttal of sorts that focused more on the human side of the “humans in space” story than it does on the technological aspects. And so Tarkovsky adapted Stanislaw Lem’s book Solaris about a sentient planet that communicates with cosmonauts on a space station to the screen. There are many recurring themes and elements that run throughout the film, and now they are examined in an excellent video essay. As created by Kogonada, the video essay first looks at how Solaris is a response to 2001 and then delves deeper into the many (seemingly odd) choices that Tarkovsky makes in order to ground his sci-fi story in the humanity of the situation. It’s a brilliant examination of a challenging but rewarding film that’s full of great insight to people whether or not they are familiar with Tarkovsky’s sci-fi classic. Auteur in Space from kogonada on Vimeo.